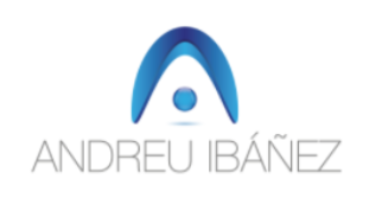 Next 28th march Andreu will be giving a presentation about the Google Summer of Code program, similar to the one given in Bucarest, Rumania. 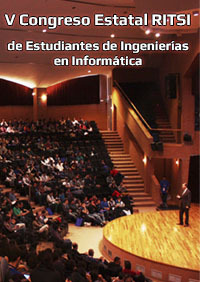 The event will be the V Congreso Estatal RITSI, en Córdoba, with a preliminary 2.000+ attendance. In this speech Andreu will explain the virtues and statistics of the GSOC program, and also the Lleida based experience with the Liquid Galaxy project, that has been for 4 years in the GSOC, partnering with End Point Corp. New York and University Western Sidney, Australia. 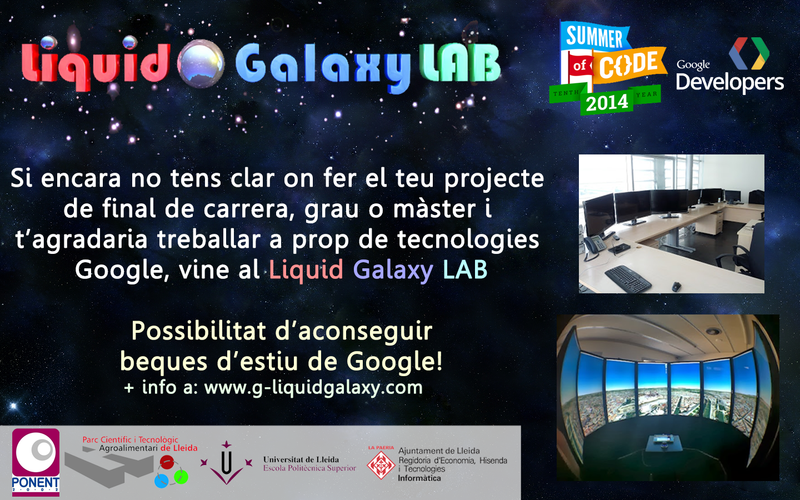 Lleida's Liquid Galaxy LAB it's a 60 square meter laboratory for students in his end of career projects, PhD thesis and GSOC projects, all focused in Liquid Galaxy and other Google technologies. 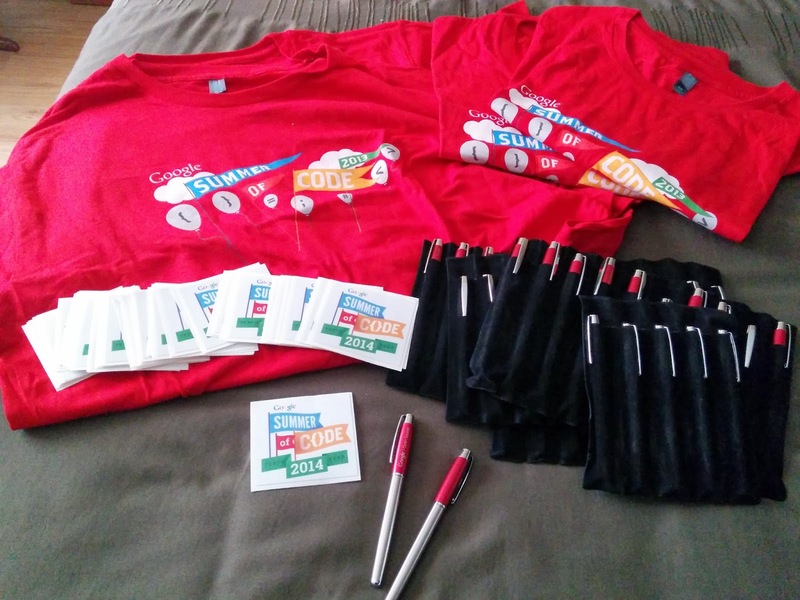 Also in a booth for GDG Spain, we'll be explaining to other interested parties about the Google Developers Group.